This past fall, one of our clients in Toronto, a long-term renter, enlisted our help to purchase a property but the kicker was, they decided not to move into their new home, opting to rent it out instead. Why? They had a huge apartment right on the lake across from a park that had a super cheap rental rate (unheard of in this market) and their kids attended school nearby. The only home they could afford was located outside of the city, but they loved their neighbourhood and didn’t want to change their lifestyle until their kids were much older. So, they decided to jump into the current real estate market for investment purposes. Whether you’ve decided to become an income property investor or simply rent out a house recently purchased, making the switch from homeowner to landlord requires a change in mental gears. For some, it’ll be more of a challenge than others. As a primary residence, you carry homeowner’s insurance, which won’t matter anymore than a drop in the ocean if you decide to rent the house out. Once it’s no longer your primary dwelling, you need to get rental home insurance, which covers the property itself and provides liability protection to you. Your tenants will need to get their own insurance to cover their possessions. It’s not unusual for the landlord of a multi-unit property to pay for certain utilities. If you’re renting out a single unit, though, we suggest you close out all utility accounts that are in your name. A tenant needs to set up their own account with local utilities. This insures you don’t get chased down for bills that could go unpaid. Advertising, screening, and leasing your space to a new tenant can be a BIG stressor. Get yourself psychologically prepared for the task. Take the time to do a proper screening. You’ll be glad you did when the tenant doesn’t tear the place up. The lease agreement is important – EXTREMELY important. Consult with either a real estate professional you trust, or crack your wallet open to have an attorney craft a legally solid document. There should be no confusion as to what each side must do to execute the contract. The great thing about being a landlord is that your property will be eligible for a long list of deduction expenses. Tax laws change so frequently that it’s hard to provide an exhaustive list, but most costs associated with owning, renting, and maintaining your property are now seen as business expenses. Bonus, the interest you pay on your mortgage for your rental property IS tax deductible too. Yep, you’re a business owner now, so don’t forget to act like one. That last point is one we will stress is the most important. You’re a landlord now. You’ve got to think like a professional. You need to setup a good solid financial base, like your mortgage and solid cash flow. On the management side, even if you decide to hire a property management company to run the place, you’re still the owner: the one writing the cheques, and the one the government is going to want to talk to if things get wonky. Don’t let all this scare you. It’s supposed to be fun. And profitable. If you are an existing homeowner, you may be able to use the equity in your existing home to purchase a rental property. New to the market? There are many guidelines and steps you will need to consider too, with the first being to set up a mortgage that works best for your situation. 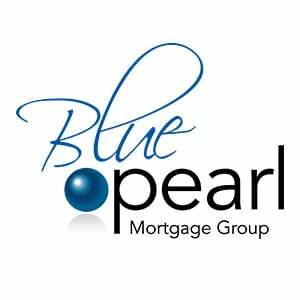 We are here to help with strategies so call us today at 1.800.288.2764 to speak with one of mortgage experts!